Pick green beans when they are young and tender, before the seeds inside form bumps on the pod. The more you pick them the more they will produce, so pick every 2-3 days. If you leave the beans to ripen the vine will stop producing and die. 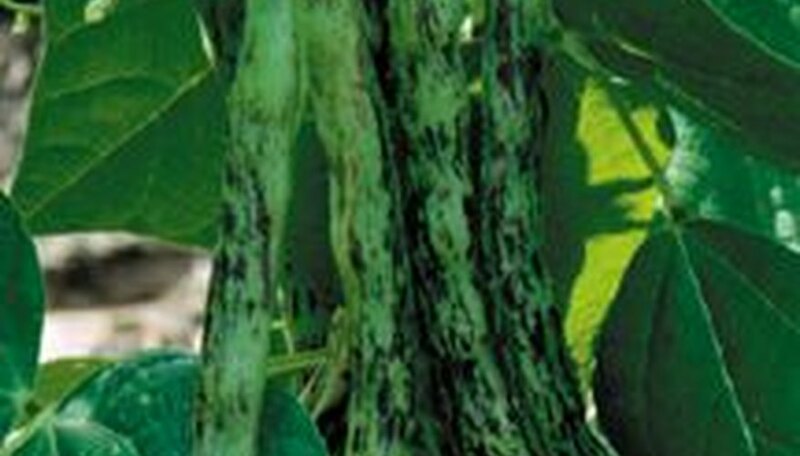 Pulling the beans off might damage the vine or even uproot the plant. Try pinching the beans off between your finger and thumbnail. Don't forget to remove and discard any over-ripe beans you may have missed last time. Shell beans should also be harvested often to keep the vines producing. Pick them when the pods are plump but still tender. Both snap beans and shell beans will keep in the refrigerator for up to a week. If you would like to dry some of your shell beans, wait until the vines start to slow production, then leave the pods on the plants until they are brown and the seeds rattle inside. The seeds are ready for storage when they are rock hard. If rain is forecast toward the end of the drying period, cut the plants and hang them upside down in a well-ventilated place to finish drying. Once they're dry, place the beans in a mason jar with a packet of dry milk to absorb moisture. They will keep for 10-12 months. Do Peppers Ripen Off the Plant?